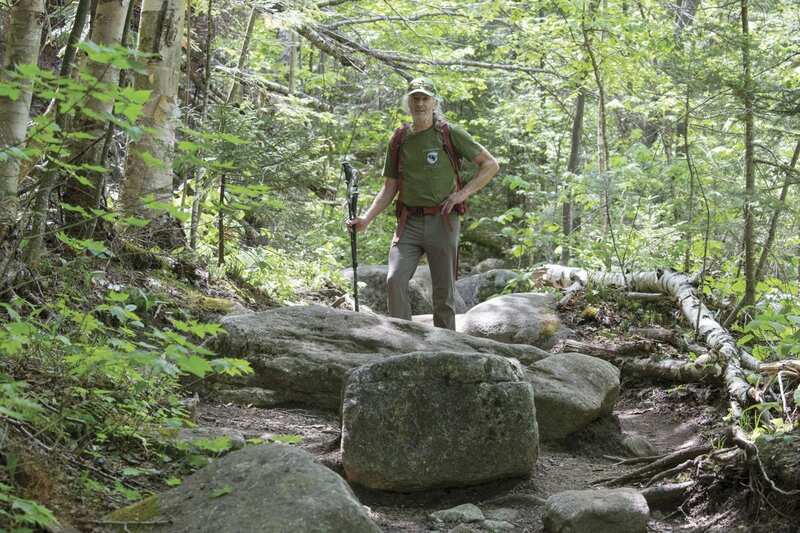 Ron Konowitz, of the Adirondack Powder Skier Association, stands on the trail to Algonquin Peak. Rocks on the trail to Algqonquin Peak. Rocks like these require a lot of snowpack to be covered. 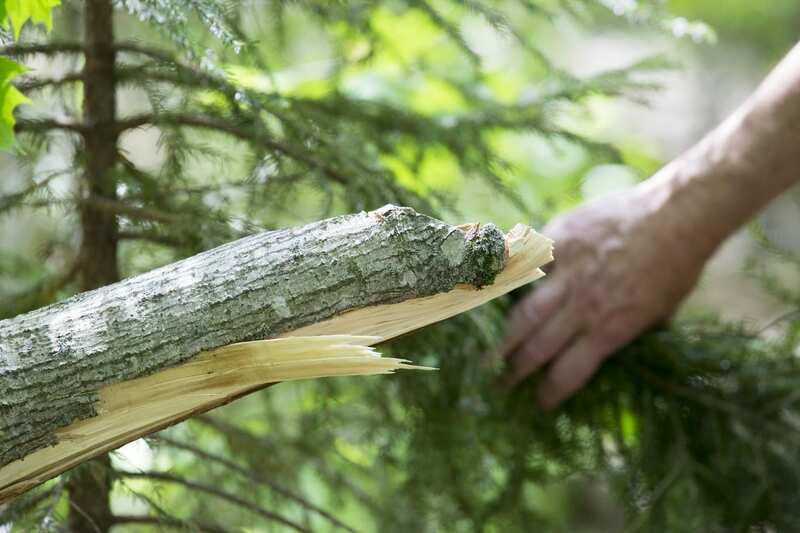 A cut tree alongside the hiking trail to Algonquin Peak. These obstacles can be dangerous for skiers. 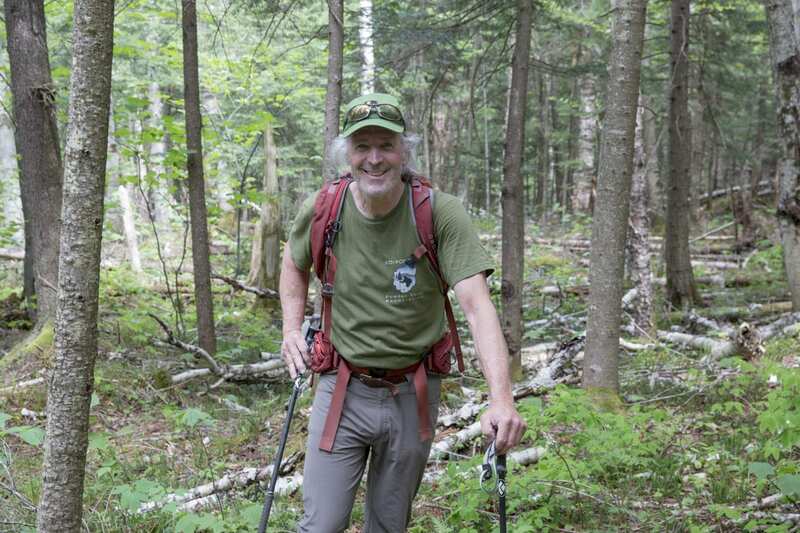 Ron Konowitz, of the Adirondack Powder Skier Association, stands in the woods on Wright Peak. The hiking trail to Algonquin Peak. 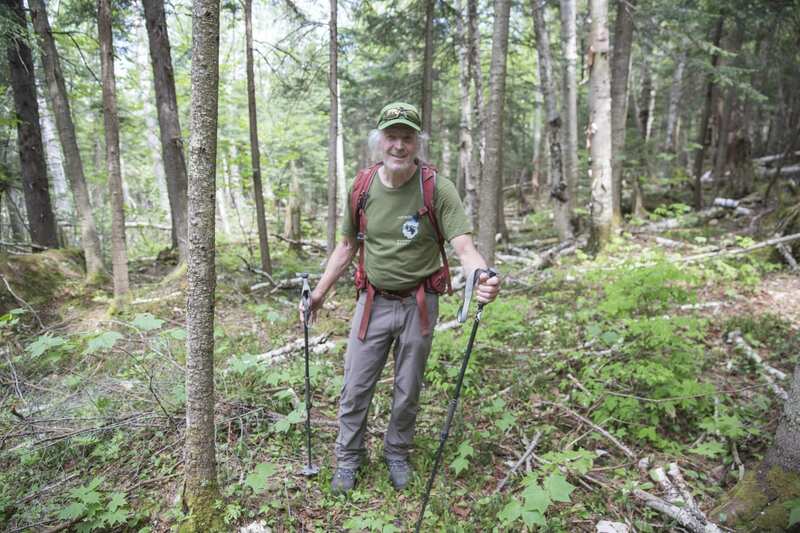 Ron Konowitz, of the Adirondack Powder Skier's Association, stands in the woods on Wright Peak in late May. Sign at Whales Tale ski trail. 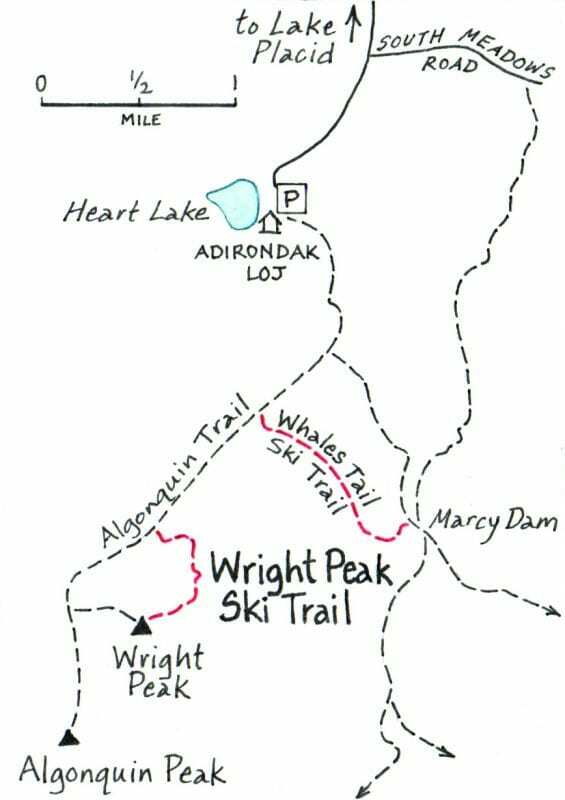 The Barkeater Trails Alliance, which maintains ski trails in the Lake Placid region, also supports the Wright Peak proposal. 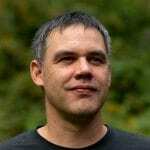 Josh Wilson, the group’s executive director, said DEC may discourage skiers from hiking over Wright Peak to reach the ski trail. The fear is that skiers will damage alpine plants. The Whales Tail Ski Trail extends from Marcy Dam to the lower Algonquin hiking trail. 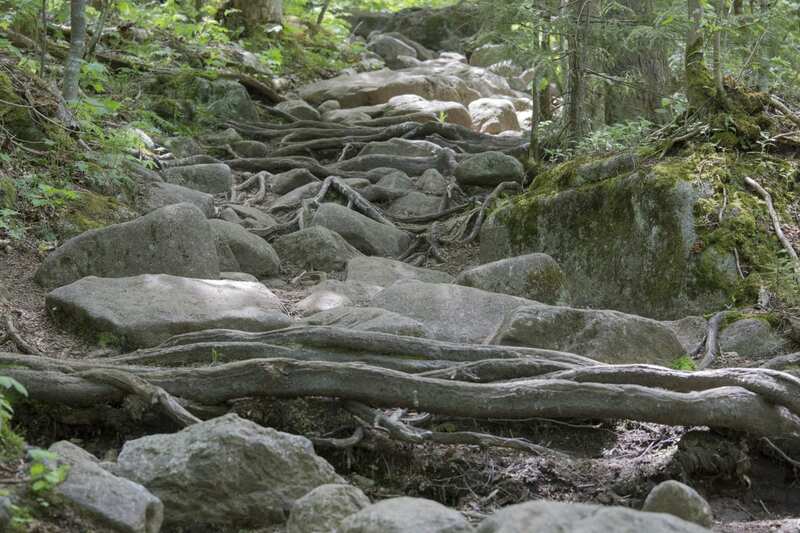 Konowitz argues for closing the Marcy Dam end of the trail to keep hikers from going through Whales Tail Pass—eroding the trail in summer and post-holing in winter. 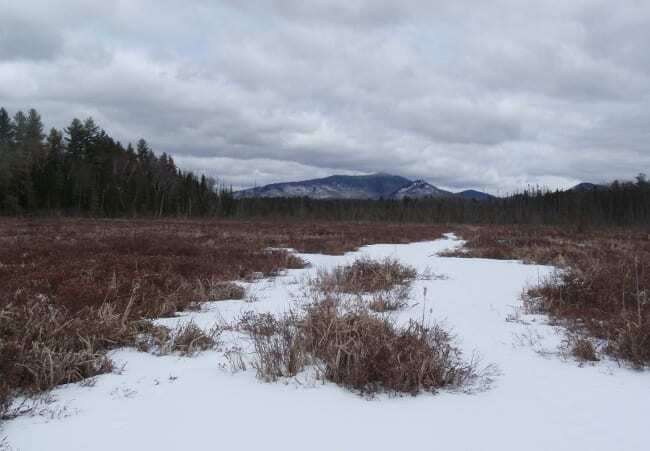 The Wright Peak proposal is contingent upon the Adirondack Park Agency adopting guidelines for the construction and maintenance of backcountry-ski trails. Konowitz would like to see the guidelines—in the works for several years—approved this fall. 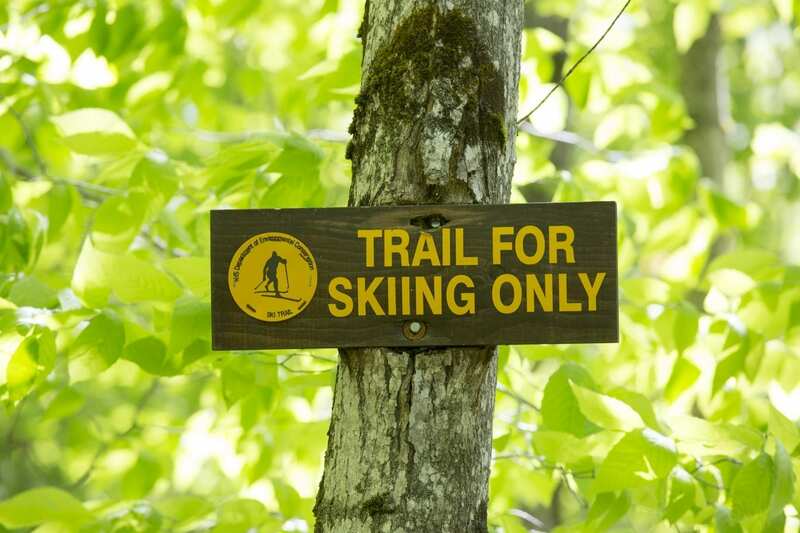 Skiers are allowed on any hiking trail, but DEC is proposing to designate seventy-nine miles of trails in the High Peaks as dual use and improve them for skiing. One improvement would be skier-friendly bridges over streams. The draft amendment lists nineteen trails (besides Wright Peak) that would be improved for skiing. They include the Calamity Brook Trail, Indian Pass Trail, Preston Ponds Trail, Lake Andrew Trail, Boreas Ponds Trail, Elk Lake-Marcy Trail, and the Round Pond Trail to the base of the Dix Mountain slides. Until the APA adopts the trail guidance, however, it remains unclear how these trails will be modified. 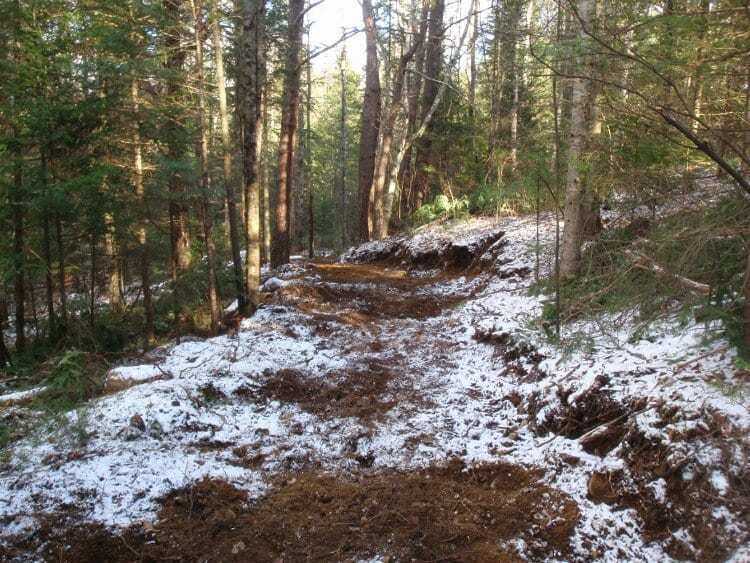 “They are obviously trying to get this done quickly and include some of these ski trails, which is awesome, but it would be so much better if we had the ski-trail guidance already.” Wilson said. The APA also must decide whether the High Peaks amendment complies with the State Land Master Plan.